Most people feel that being comfortable is the least they can expect in life. Others want to be rich and enjoy the excesses of wealth. But Christians understand that the love of money and greed are not good things, and therefore they feel that being comfortable and settled is not an unreasonable or unscriptural expectation. (This discussion obviously excludes those who have believed the lie of the prosperity preachers that greed is good). 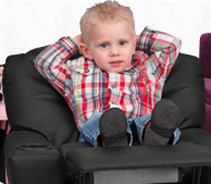 So surely there cannot be a problem with being comfortable? I know many who are comfortable, and have not sold out to heresy or sin, and continue to fulfill some kind of ministry. Comfort has to be the least we can expect from life – right? Wrong! Being comfortable is one of the biggest snares of the Devil, and it brings with it the judgment of God! Amos said: “Woe to you who are at ease in Zion, And trust in Mount Samaria, Notable persons in the chief nation, To whom the house of Israel comes!” (Amos 6:1). “Being at ease” is another way of saying “being comfortable.” God actually pronounced a woe on those who were comfortable in Zion. They were comfortable because they were in Zion. (Zion refers specifically to Jerusalem but generally to Israel.) Zion was where the temple was, the land of promise and the place that God had chosen to declare His name. Others in Israel trusted in Gerizim (Mount Samaria) instead of Jerusalem, but with the same result. Being in the physical place chosen by God brings real comfort, thus many Christians are comfortable because they go to church, are part of a fellowship, or feel they are physically where God wants them to be. So what’s wrong with that? They were comfortable because they were Israelites, or to quote the text “the chief nation.” There is comfort and security in knowing they were part of the very nation that God had chosen above all the others. Today the church is God’s chosen people (1Peter 2:9) and this has brought comfort and security to many believers. Surely there is no problem with that? They were also comfortable because they were the leaders of the chosen nation (“Notable persons… to whom the house of Israel comes”). Being a spiritual leader surely cannot be a bad thing. It can only be good, especially when those leaders stand for truth, holiness and the glory of God’s name? Right? Yet in spite of these people being in Zion (or the church), being part of the Lord’s people, and being leaders and ministers to God’s people, the Lord pronounces a woe against them. Not only does He say “woe,” but He promises to lead them into captivity (Amos 6:7). More than this, He will kill them (Amos 6:9) and He will scatter Israel and Judah (Amos 6:11). In addition, the ensuing chapters of Amos list curse upon curse that the Lord will bring upon His people. Why? Because they were comfortable and at ease! This is not just a rare exception, or a principle only found in the Old Testament. It appears all over the Old Testament (Judges 18:7; Isaiah 32:9-11; Jeremiah 48:11 etc.). And it is repeated in the New Testament. It was the sin that cost the successful farmer his life (Luke 12:18), made the judge unjust (Luke 18), and made the friend insensitive to his neighbor (Luke 11:7). The book of Revelation uses another word for being at ease, comfortable and complacent – lukewarm. The church at Laodicea had become very comfortable – the Lord says they were “lukewarm” (Revelation 3:16). Being human, lukewarm is exactly what we like. We don’t like the weather, our food, or our beds and baths to be too hot or too cold – they need to be lukewarm. But the consequence for Laodicea was the same as it was for Israel – The Lord would spit (vomit) them out of His mouth. Remember, this judgment was not on the Gentiles or unbelievers, but on Israel and its leaders, and on a church and its leaders (Revelation 3:14). So what makes you and your church different? Is there any reason why the God who condemned Israel and the church of Laodicea for being at ease should not do the same to you and your church? I don’t see any difference between them and us. Oh, but we are one of the few churches that hold to the truth, surely that qualifies us for preservation? That is exactly what Israel claimed, but let me ask you this question: are you, and is your church, better than the first church in Jerusalem after Pentecost? Surely not. Surely they were better than any of our modern churches on every level. Yet the Lord destroyed that church within a few years after it was founded and empowered by the Holy Spirit in the upper room. You probably don’t believe me, so here is what the Bible says: “At that time a great persecution arose against the church which was at Jerusalem; and they were all scattered throughout the regions of Judea and Samaria, except the apostles” (Acts 8:1). In other words, in the same way as God allowed the Assyrians to empty Israel of Israelites, and later the Babylonians to empty Judah of Jews, so the Lord allowed persecution at the hands of the Jews to empty Jerusalem of Christians. This is clearly a principle that applies to every church. The only difference is this: these days instead of removing the church – as he did in Jerusalem and with many of the churches of Asia Minor (Revelation 2&3) – He now removes Himself from the churches. What was the problem with the church at Jerusalem? They had sound doctrine, the greatest leaders of all, they loved the Lord and His Word, they had power and miracles, lived holy lives, loved their fellow believers and were financially generous. In every respect they were a model assembly, one that each of us would aspire to join. But they had one problem – they were comfortable. It was just so nice to be in this wonderful church where the doctrine was sound, the leadership was godly, and everything seemed almost perfect. The problem was that they had a commission to preach the Gospel to the rest of the world. But their comfort and ease had blinded them to their responsibility and calling. And that’s where the problem lies. Many good Christians, good leaders and good churches have become comfortable, at ease and complacent. They enjoy their routine and the predictability of their meetings, jobs, homes and families, and this makes them ineffectual in the Kingdom. God is not against us being comfortable. After all, we will be in perfect comfort in His presence one day. But what happens when we are comfortable? This is the problem: we fall into a daze and lose our zeal. Of the few remaining pastors, churches and believers – who have not sold out to open error, sin, materialism or some other “wile” of the Devil – there are many now dozing off into the warm fuzziness of comfort. Those who were once on fire for God, and would go to the ends of the earth for the Kingdom, now act like they are lukewarm, merely going through the motions of serving the Lord. Comfortable is a dangerous place to be, as evidenced by Israel, the Church at Jerusalem and the church at Laodicea. It displeases the Lord, prevents us from doing what we should be doing and lulls us to sleep. It is time to wake up (Ephesians 5:14) and to rekindle the fire (2Timothy 1:6). Jesus is coming and His reward is with Him. Will he find us occupying until He comes? Or will we be like the disciples who fell asleep when they should have been watching and praying (Matthew 26:40-41)? 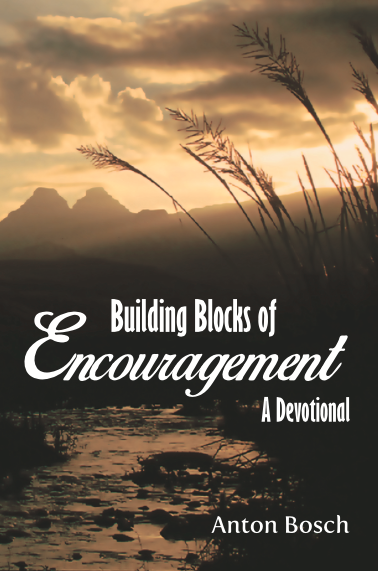 *The short devotional above is an excerpt from Anton Bosch’s just-released new book Building Blocks of Encouragement – A Devotional. The book is a selection of 60 of his most popular articles written over the past 11 years. As the title suggests, the articles are encouraging and edifying. Each chapter is free standing and is designed to be easily read in one sitting. In addition to being encouraging, the articles are doctrinally orthodox and the book is therefore a safe gift for friends and family that will bless strengthen and encourage. To order the book, contact the Discernment Ministries Book Center (903) 567-6423. The book is also available as a printed book as well as a Kindle book from Amazon.com.